You wish to be one of them! Read on!! Appearing for Common Admission Test or CAT, as its known and famous, is a must for getting admissions into the prestigious Indian Institute of Management (IIM). There are several entrance examinations taking place every year in India like MAT, XAT, MH-CET but CAT remains one bull which all students and aspirants wish to climb. This is because a admission into any of the IIMs is a assured mode of career progression and attaining your financial and lifetime goals. This is a known fact and to take advantage of this, there are several coaching classes and various online sites who specialize in preparing you for the CAT. However it is often seen and heard that many of these classes and sites are nothing but money making expeditions by operators. So to help all students who wish to appear for CAT I have prepared a list of online coaching classes, so give them a try. TCYOnline : This site offers free preparation tests and study material as well as premium courses. TYCOnline offers three courses which you may opt as per your budget. Basic for Rs.975.00, Advantage for Rs.1450.00 and Premium for Rs.1950.00. Basic offers you 250 chapter and section tests along with mock tests. Advantage includes all of the above and voice based lectures with notes, which you can download. Premium contains all of the above and includes mock tests for other tests. TCY Analytics lets you compare your score with other test takers and know where exactly you stand. Visit their site here to know more. Next one is Arun Sharma's MindWorkzz. Arun Sharma is a alumni of IIM Bangalore and one of the best known online coaching Gurus. MindWorkzz offers online coaching to interested students and includes webinar. In case of a query during the lecture, a student can conveniently raise his/her hand ask the question. To check out what I am talking about, please visit his site and click on demo lectures. This one of the best options for hardworking students. The courses on MindWorkzz start from Rs.5500.00 onwards. Once you are online, you can specifically opt for the section which interests you like Verbal or DI. If you want a full comprehensive course you can opt for it. MindWorkzz's DNA is the convenience it offer to you to attend the lectures sitting at home rather then spending 30+minutes travelling to the physical centre. Visit here to have a look at MindWorkzz. The next one I am presenting is BYJU’s classes. If the MindWorkzz idea of attending a online lecture is not your cup of tea, try this one. It has physical classes all over India. The only problem is you have to attend the local class to watch the online lectures. The queries and questions you have will be answered by the local teacher. One big advantage of BYJU's classes is that you get to interact with students and its lectures are known to be particularly well received by students. Another plus from me for BYJU's classes is that before joining it they offer you an option for free trial lecture. And the site itself is extremely easy to navigate with Easy, Medium, Difficult level filters and within them Verbal, DI, Quantitative and mock tests. BYJU's classes also offers you options to download the free e-booklet, a PDF file with all shortcuts. Their online comprehensive test series package which includes 4000+ online questions, 150+ chapterwise unit tests, comprehensive online feedback, special CAT files to practise techniques and strategies, costs Rs.5000.00 Try out the 20 or so online mock tests available on the site. Visit here to give BYJU's classes a try! There are many more which are really good, I am publishing this three and if you respond favourably to the post, I will post some more classes in continuation to this article. Do write in your comments on if you have any of your choice online coaching sites. 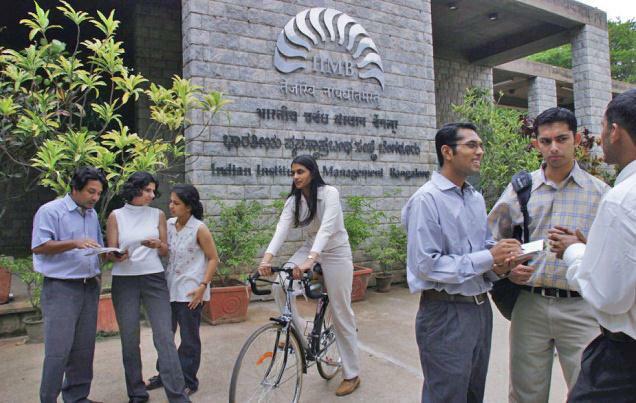 Getting into IIM is a real dream for many students. But all the traditional coaching classes focus on accumulating students in batches of large number thus prevent the potentials students from getting a good score too. Look out for one on one CAT coaching that focuses on YOU alone. really nice article informative and helpful. however Guys do consider the online coaching option too as they do provide the same material and tips and tricks and u can start the online session accc. to your convienence plus it's available at a much lower price than the offline coaching.i am a working professional and i am simultaneously preparing for CAT-2013. so not possible for me to join any coaching institute.even i can’t join the weekend batch ,as the institute traveling will take around 1 hr.so rather than joining any institute ,i prefer to have an online course for Coaching for CAT.practicing with test’s regularly could easily double your efficiency.but i do believe that in today’s scenario for Proper preparation and development of concepts one must join some CAT test series or any coaching institute.i have also joined @http://www.wiziq.com/course/9277-lr-vr-di-ds-speed-calculations-quant-general-awareness for online coaching for CAT and i have to admit it is really helpful.A must for every CAT aspirant. do you have anything to say about IMS online correspondence course? Thank-you for the above informaton. I am going to appear for CAT 2014 exam, and I have recently enrolled for this CAT online test series. I am not user if it is good enough as I have not yet given any test. Please suggest some more sample test and study material for CAT exam.